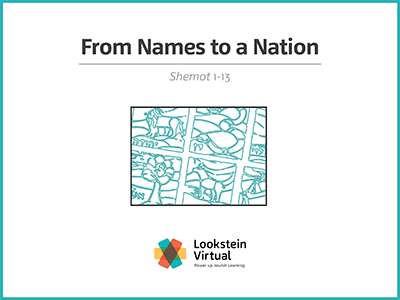 In this course on Sefer Shemot, students will learn about the significance of names and anonymity in the narrative of Bnei Yisrael’s first galut (exile) and geulah (redemption). Students will trace the common heritage, formative experiences, and leaders that transform a family of seventy individuals into a nation with common aspirations. This course will model close reading of the text and expose students to textual analysis skills using classic, medieval and modern day commentaries. Students will employ literary tools to uncover the rich messages embedded in the Shemot narratives.